Cosmetic dentistry is a professional dental work that focuses in improving the overall appearance of your teeth, mouth and smile. It gives you a positive impact to your teeth and smile. Before deciding which cosmetic dentistry treatment to perform, you need to know about the benefits, risks and what you can expect during the treatment. Make sure you are aware about the cost associated with the treatment, experience of the dentist and if special maintenance will be required. Read on to know about some types of cosmetic dentistry treatments for your dental problems. Inlays and Onlays – Also called indirect fillings, they are made in a dental laboratory and used when a tooth has mild or moderate decay or there isn’t sufficient tooth structure for supporting the filling. Inlay is placed onto the surface of the tooth directly by keeping in mind there is no damage to the tooth cusps. However, you may use onlays to cover the surface of tooth when a greater part of the tooth or the cusp gets damaged. Both inlays and onlays are attached to the teeth with adhesive cement and prepared in a dental laboratory from composite resin material. They provide great support to restore the shape of teeth, strengthen them and prevent further decay. Composite Bonding – Cosmetic bonding is an inexpensive solution to your chipped, cracked, gapped teeth and stains in fillings. This technique can be completed in one appointment only. If you are having crooked smile due to underbite or overbite problems, this treatment will not correct them. Rather, you need to talk to your private dentist in London and determine if you need to perform in-depth such as adjusting bite or any complicated chips or gaps in between the teeth. Bonding is primarily for the individuals who want a cosmetic solution for their teeth that are actually healthy. Dental veneers – Veneers are a cosmetic solution that helps improve the appearance of teeth within a short time. They are made for each patient so that it matches with the natural color of their teeth. They look like your natural teeth and improve the shape, position and color of your teeth. Veneers can solve several cosmetic problems, such as crooked or cracked teeth, damaged tooth enamel to gaps in between the teeth. If one tooth is found out of position, veneer can be fitted to bring it in line with others. The cosmetic dentist will apply veneer at the front of each tooth with dental adhesive. Teeth whitening – Teeth whitening can be an effective way of lightening natural color of your teeth and getting rid of stains and discolorations. Over time, your teeth become stained due to the foods, drinks, medications and other habits such as smoking. Whitening restores the color of teeth and this procedure can be performed in the dental office or at home. Additionally, patients use fluoride contained toothpastes to achieve the same effect within one to two weeks. The treatment whitens teeth by almost three shades over two weeks and for the most favorable results, within four weeks. Dental implants – If you are having missing teeth, then dental implants treatment are a good solution for such problems. The dentist puts in a titanium screw into the jaw of the missing tooth that serves as the support for crown. Implants are almost identical from surrounding natural teeth, and once the supporting tissue and bone fuse together to the implant, they are secured into their place permanently. Patients need to practice good oral hygiene during implant placement to clean food debris from the treated area. Thus, if you are considering cosmetic dentistry treatments, it is important to search for a good dentist who provides suitable option you might be interested in. 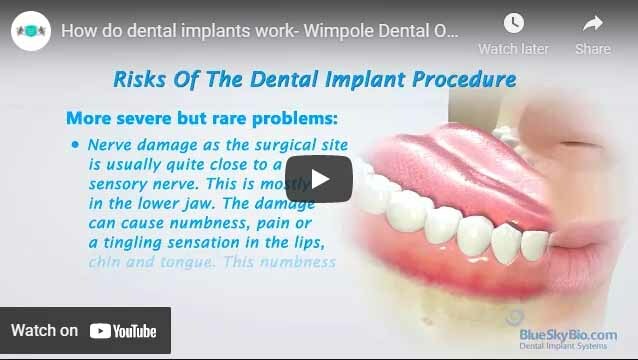 You may visit Wimpole Dental Office where the dental practitioners can help you in treating your oral complications.